Fighting adolescent low literacy and illiteracy is hard work. To date, the vast majority of children proceed through our educational world undiagnosed and unremediated. Though accounting for only 10% of the general population, we find dyslexia among 60% of prison inmates, 83% of street youth, and 89% of adolescent suicides (see https://www.dynaread.com/scientific-library (scroll down to Dyslexia Vulnerabilities). The following companies actively support Dynaread's efforts to offer free Dyslexia Testing (including free expert review and reporting), plus affordable remediation (including the option to receive Grants up to 70% off). Our efforts assure that no child needs to be left behind. Excellent Services - These companies provide primier quality services which help us deliver stable reliable solutions to these, the most fragile, of students. Emotional Support - These companies support us emotionally, as our quest to fight adolescent low literacy and illiteracy is an uphill one. To know that you're not alone, but that a crowd of people stand behind you, help you, and believe in you is HUGE! Financial Support - Each in their own unique way support us financial. 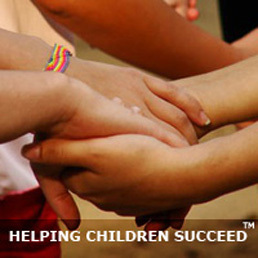 Their support allows us to keep our Dyslexia Testing services free of charge. Their aid helps us to keep on being generous with our Grants to low spendible income households. And their financial assistance grants us access to top-tier solutions which maximize our IT abilities to serve struggling readers. LAST BUT NOT LEAST - All these companies excel in their communication. At Dynaread we are very picky. Our end-users are special needs students. We have to be able to truly rely on the companies we work with. Not just their out-of-the-box services, but also their personal backing up of those services. WalkMe, an Israeli company, stands square behind our efforts. They enable us to offer intuitive on-page instruction on our Testing and Remediation applications. In the IT and educational board it is called OnBoarding: Getting people on board your application, such that they are adequately equipped to use it. TeamWork, an Irish company, instantly grouped up with us when they learned about efforts to help struggling readers. TeamWork offers secure team management and collaboration solutions which are essential for our distributed team. 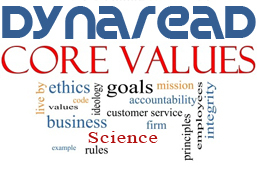 Dynaread is a true 21st Century Environmentally Responsible company. Our team consists of experts located on three continents. We are 100% paperless, and allow all team members to work and contribute on their own schedule and from their own locations. TeamWork ties us together into one highly organized professional team, fighting for literacy. Onstream Media, a USA East Coast company, equips us with State-of-the-Art online Webinar and Webmeeting solutions. We use these to offer free Webinars on Reading, Reading Struggles, and Remediation: Effectively educating professional teachers and parents on the latest neuroscientific insights on reading and dyslexia. Dyn, a USA East Coast company, enables us to operate a global server network second to none. Dynaread operates servers within the Google and Amazon cloud hosting environments, distributed over several locations world-wide. All perfectly synchronizing and harmonizing. Dyn ties them all together with primier quality services. The results of Dyn's contribution are fast application rendering times and seamless fail-over functionality if ever a system goes down. Teamviewer, a German company, equips our team with secure efficient tools to provide IT/Tech support: performing maintenance, executing software installations, and performing system configurations on remote (client) computers. VoiceLab, a Polish company based in one of the world's leading IT hub cities Gdansk, is a premier provider of voice recognition solutions. The men behind VoiceLab have shouldered up with Dynaread from day one, helping us navigate the challenging paths business development and growth. Further, their technology is being used by Dynaread to research and develop more effective and more precise levels of intelligent remediation. PivotalTracker, a USA-California company, provides our team with intelligent project management tools for especially IT management. Zendesk, a USA-California company with it roots in Denmark, empowers Dynaread's support communications: Support tickets and (through their Zopim product) online chat support. Sendible, a UK company, is a premier provider of Social Media management solutions. They help us manage our Social Media in an effective way. BrowserStack, a Mumbai India company, is a leading provider of multi-platform end user experience testing solutions. Though internet programming is far more structured today than it was two decades ago, there are still very many cross-platform considerations to take care of. BrowserStack helps us to develop and deliver special education tools which work properly on an array of devices. Dynaread Special Education services come to you through the (pro)active support of these excellent companies. All of them come highly recommended. We work with several more solutions providers, but the above deserve special recognition for truly standing with us.